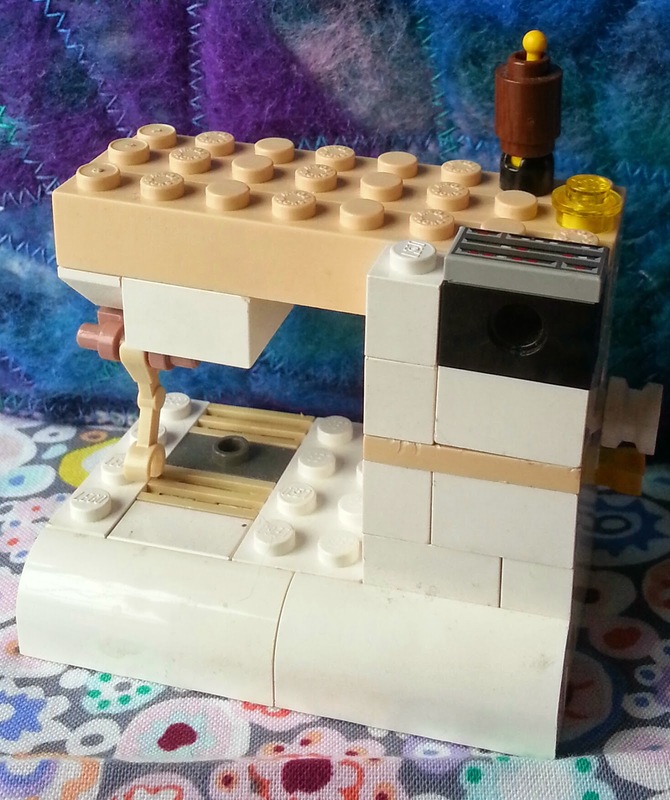 Here's a fab idea my sister found on t'internet, a model sewing machine made of lego! Fortunately we had kept the lego my son used to play with and I spent an evening rifling through a couple of boxes to find the right pieces. Not an easy task but worth it as I managed to find enough (or close enough) for 2 machines! and it's easy to put together once you have assembled the right parts.